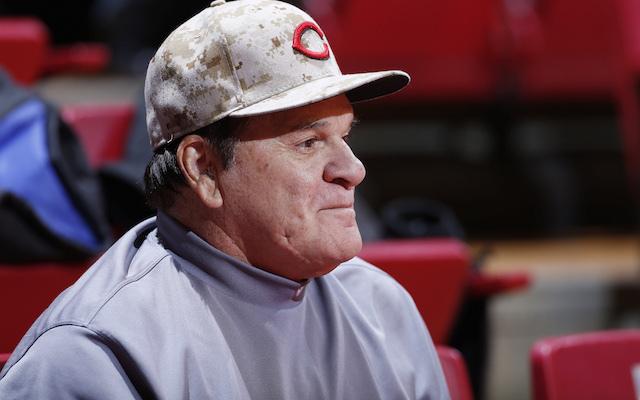 Pete Rose was one of the best baseball players of all-time. Charlie Hustle, which was his nickname, was a guy that left it all on the field. And because of that, you could never question his desire to win and play the game the right way between the lines. Rose was a 17-time All-Star, won three World Series rings, was Rookie of the Year in 1963, won two Gold Gloves, three batting titles and is still is the all-time leader in hits. He was a great player. And most great players end up in one place: the Baseball Hall Of Fame. But in 1989, three years after Rose retired, he agreed to permanent eligibility over accusations that he bet on the game while as he was a player and a coach for the Cincinnati Reds. He was even accused of betting on his own team. Rose denied his betting on baseball for a long time but in 2004, he finally admitted he bet on the game. But he never admitted he bet on his own team. Over the years, there have been cries from fans of the game that he belongs in the Hall Of Fame. And with his numbers, that cannot be denied. But unfortunately, the game will never forgive him. It was announced this year that Rose would try again to get reinstated to get in the Hall of Fame. He met with the current commissioner, Rob Manfred, and to the dismay of Rose and his fans, he was turned down. Of course Rose’s fans are not happy over his denial. And as time goes by, the hopes of him ever being inducted in the Hall of Fame while he is alive diminish. The plight of Rose is one that he put upon himself. No one forced him to lie to Major League Baseball and bet on the game. But Rose did both and now he has to pay the price. He cannot be around baseball clubs any at all with the exception of ceremonies that the commissioner approves him to be in attendance. And it is a shame because he has extensive knowledge of the game because of the 20+ years he played the game. But there he sits in the booth watching games and speaking on them as an analyst. It’s sad that he cannot be on the field helping players, but there are others that did things to disrespect the game that are actually involved. One example of a man that has gotten along just fine after his incident was Mark McGuire. When he first played for the Oakland Athletics, he was a solid looking first baseman. But as time went on, he hulked up and began to crush the baseball. Over time, plenty suspected that he used steroids. And it got as far as him being brought in front of Congress to question him on his usage along with players like Sammy Sosa and Rafael Palmeiro. The only thing he did was tell them that he was not talking about the past. And indeed he did not admit anything during that entire time in front of Congress. He eventually did admit to steroid use in 2010, five years after meeting with Congress. And because he admitted it, he was accepted on the field again as a hitting instructor. He has been a hitting coach for the Cardinals and Dodgers and will be one for the Padres next season. He may not make the Hall of Fame, but he was not banished like Rose was. And in Rose’s instance, he did not harm the game as much as McGuire did in my opinion. Rose did gamble on the game. But he was a great player. It would be a shame that we did not recognize the greatness in Pete Rose because of some missteps that happened back in the 1980’s. There comes a point in time where we all have to move forward. Many times we never take the time to truly value greatness when it is around us. Plenty of famous singers, actors, and even athletes are recognized more posthumously than they are alive. And what’s bad is we have to live through the memories of what they were before they left the Earth instead of enjoying them while they were here. There is no doubt that enough is enough already at this point. Rose lied and made a mistake and when you make a mistake, you cannot choose your punishment. But at this point, the punishment has been served. He has probably been living a nightmare in his mind about the things he was involved in. That in itself is a punishment. 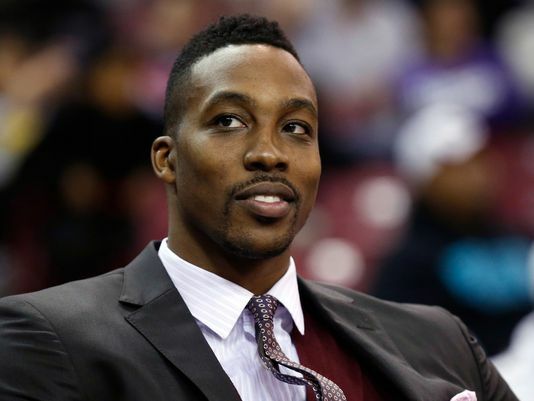 The fate dealt to Rose has delayed him ever being eligible for the Hall Of Fame. And as he creeps closer and closer to 80 years old, the thought that he will never get the ultimate validation for his play while living is becoming reality. Meanwhile, no one really brings up McGuire’s past. All seems to be forgiven on his front. As for Rose, he is still sitting on the outside waiting to be let in.